What is the best way to prepare for a radio, television or print interview? How do you convince the most influential staff in your organisation that interacting with the media is worthwhile? I offer bespoke media training to suit your needs, from general training for people who have never been interviewed, to a tougher line of questioning for the seasoned chief executive who wants to brush up on his/her skills. I do regular media training courses for researchers who are funded by the Natural Environment Research Council (NERC) and the Biotechnology and Biological Sciences Research Council (BBSRC). Training with NERC funded researchers. Matthew Amesbury (top right in this picture) has written a blog post on his experience of the course. 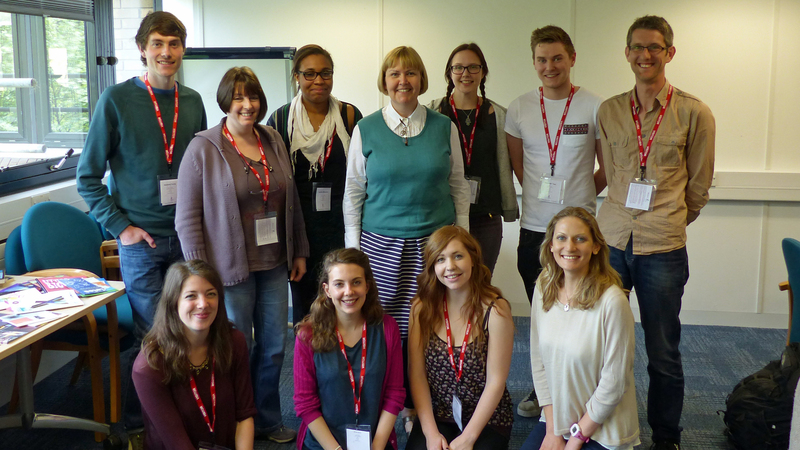 Here is another blog on Naturejobs from Emily Porter who attended a BBSRC media training session. I also provide media and oral history training for Bath Spa University’s MA Heritage Management course.